In continuation of the previous blog, here we shall discuss another way we can use bond yield to figure out direction of the stock market. 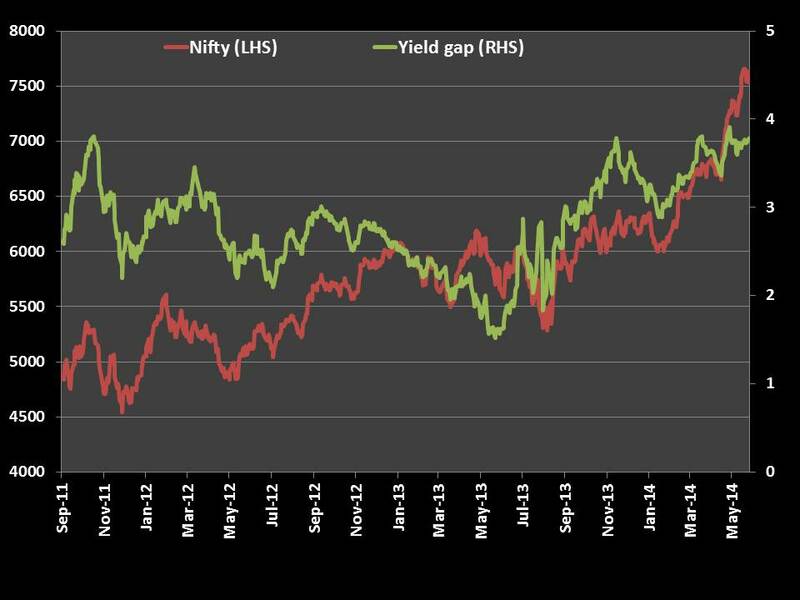 Today we shall discuss Yield Gap, a tool frequently used to indicate whether equity markets are overvalued or undervalued compared to government bonds. 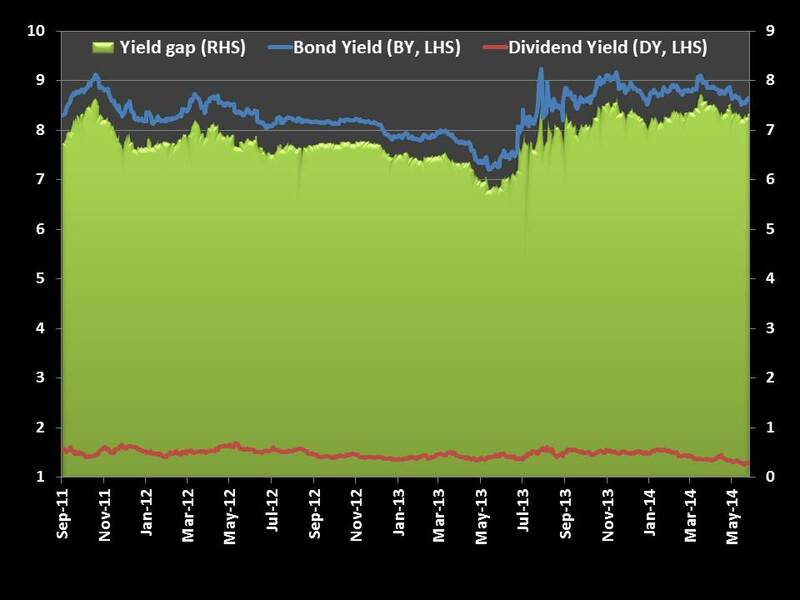 Yield gap is basically the difference between yield on a long term government bond and the average dividend yield on a stock benchmark index. How do we interpret Yield Gap? Theoretically, the more positive the gap, the greater the opportunity is to buy into the equity markets, especially during inflationary times. However, when consumer prices are relatively stable, positive gaps are less indicative of opportunity into the bond market as investors accept lower bond yield due to lower threat of inflation. 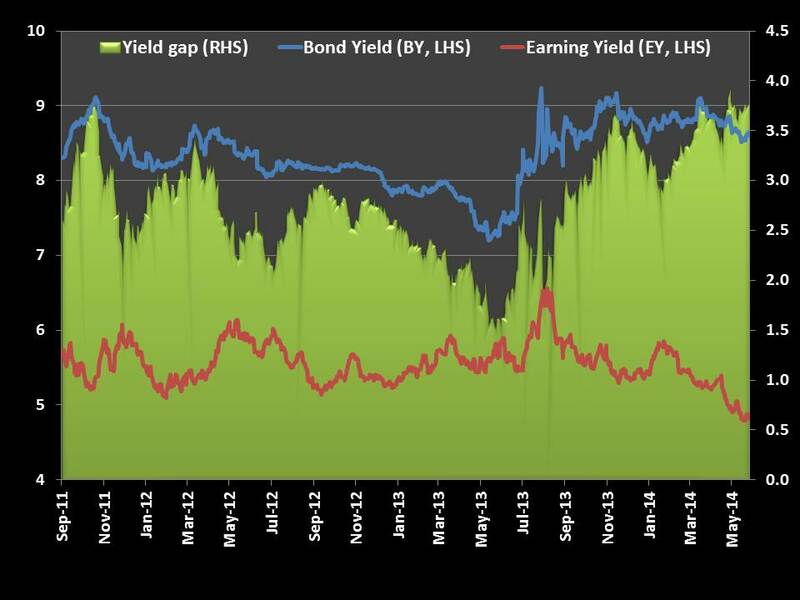 In other words, widening gap between bond and equity yields signals new growth cycle. Indian corporates have been less inclined to pay divided in general as compared to US corporates. Hence, this metric may not hold much importance in the context of the Indian market. 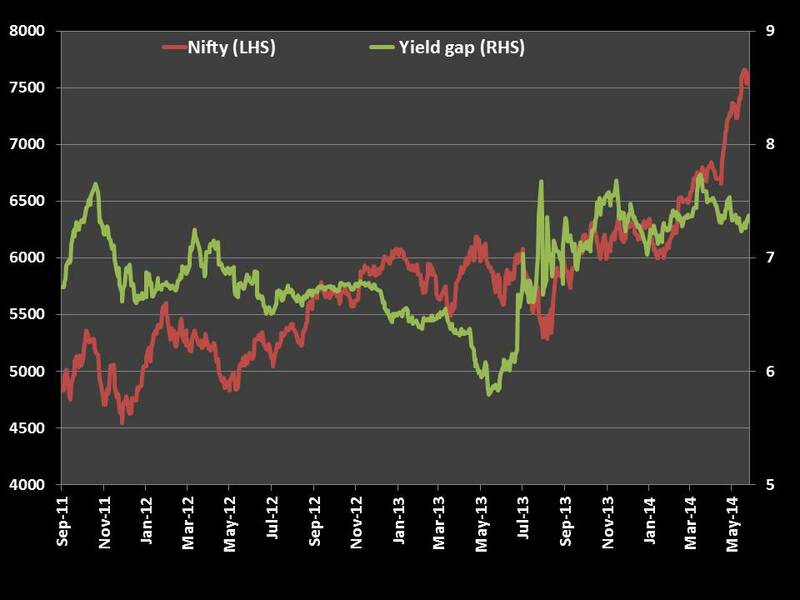 Yield gap for the Indian market has been widening indicating a new growth cycle.